Want to contact Kim Lewis & Crew? 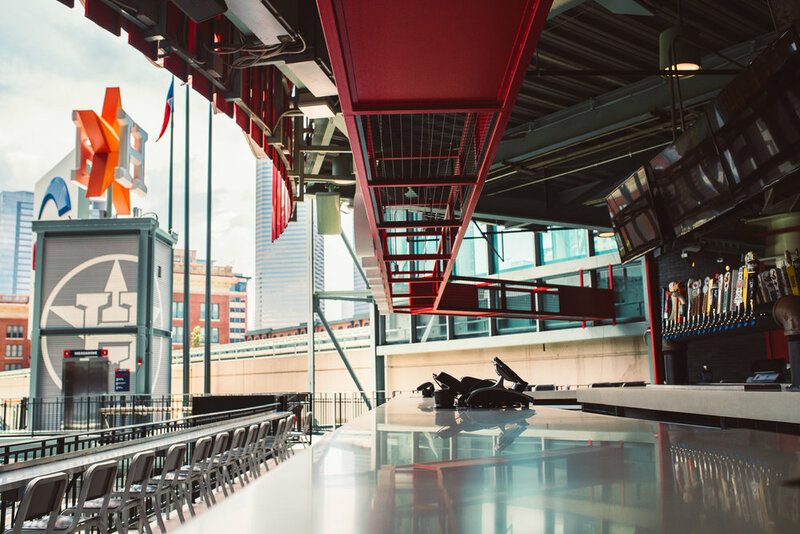 Send questions, inquiries, & thoughts — we look forward to hearing from you. Thank you for contacting Vagabond Designs! Your inquiry is important to us and we will get back to you as soon as possible. Former Designer for ABC's "Extreme Makeover: Home Edition" and FYI's "Tiny House Nation" is launching her own line of Tiny Homes, in collaboration with Austin, Texas builder Sett Studio. 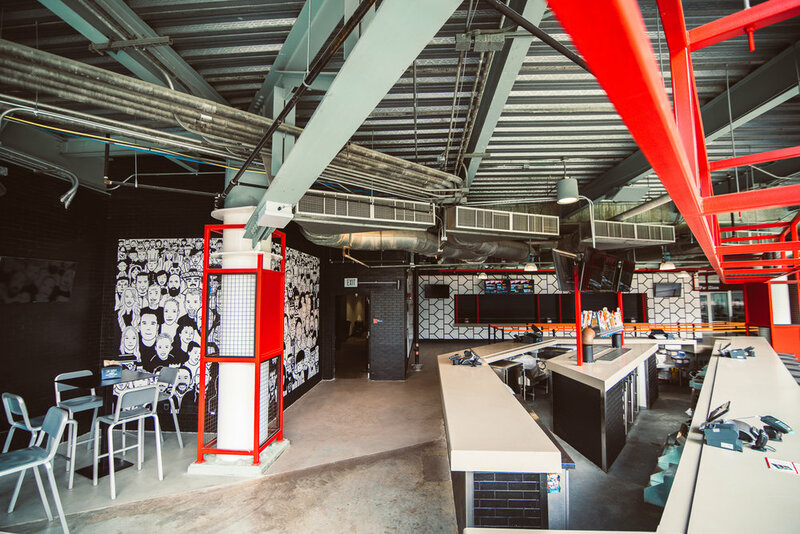 Torchy's Tacos asked Kim Lewis to design their new concession stand and VIP Deck at Minute Maid Park in 2017. 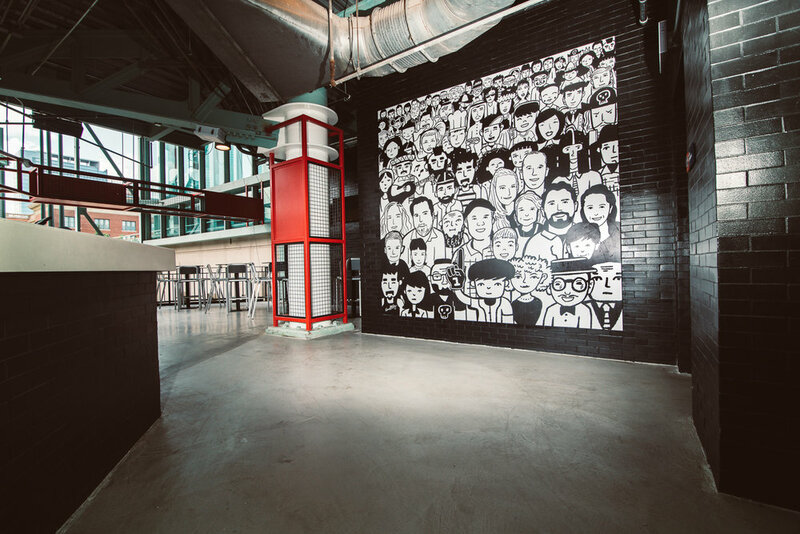 "I'll never forget standing in the empty stadium, down on home plate, looking up at the space that was to become Torchys...That moment as an artist when you're painting this picture in your head. It all came together right there from home plate! I wanted the design to make an impact from any seat in the house, so we graphically integrated the 3 stadium levels by creating a chevron shape with road reflectors. 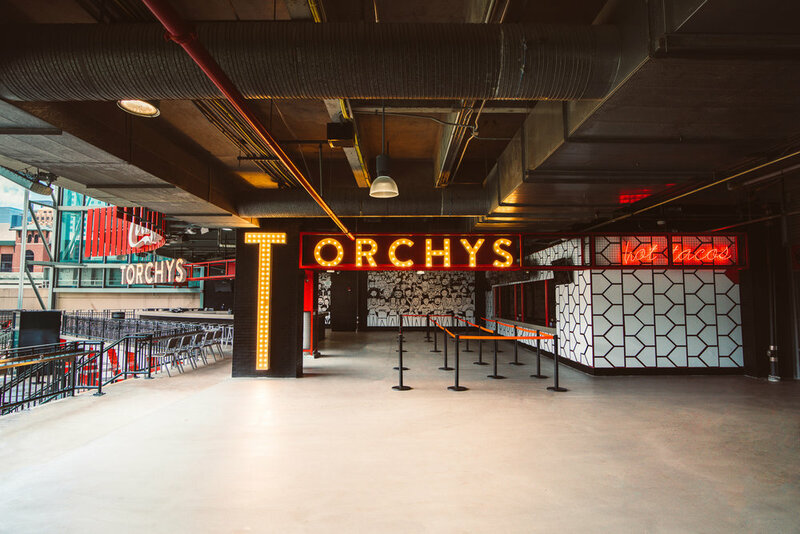 The diagonal stripes lay parallel across 3 stories, drawing your eye straight up to the marquis lit Torchy's sign." 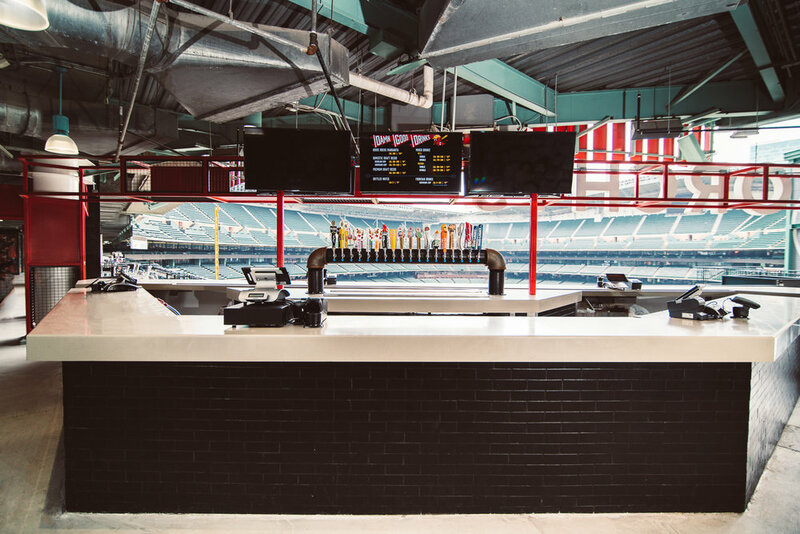 Upon entering the space, you don't have to look too close to notice the concession stand wall is covered in custom 3D wall tiles, mimicking the iconic home plate shape. 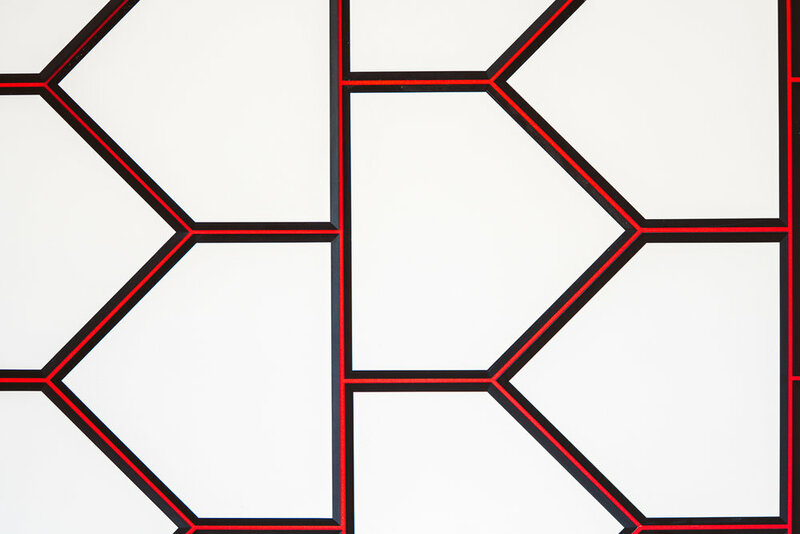 Kim called on Doreck Design to create these custom home plate tiles. 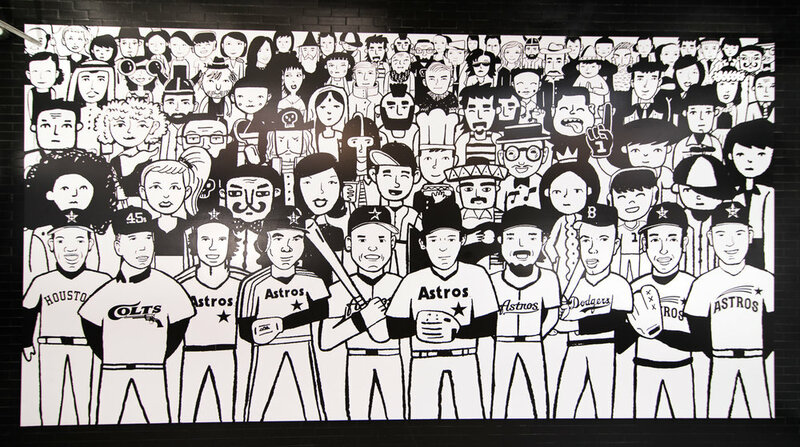 And if you're from our hometown of Austin, you might even recognize some familiar faces from the Torchy's team, including all Torchys Owners and their family members. 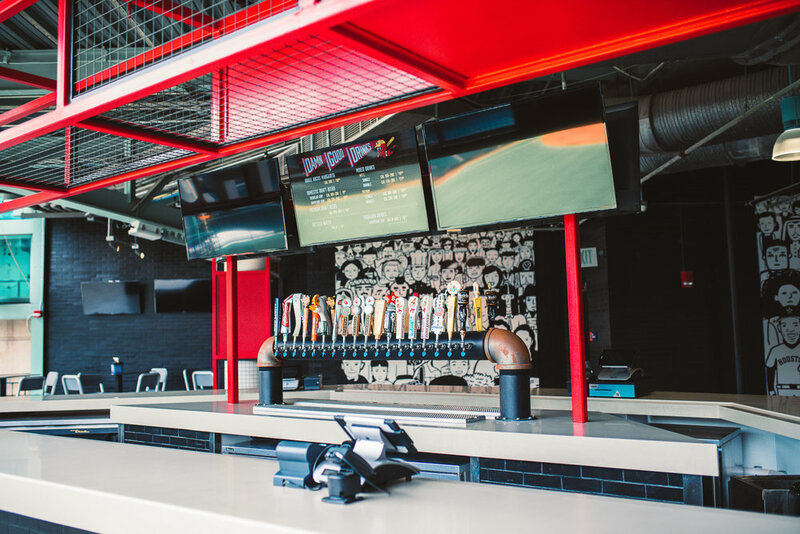 For all construction, we worked with Dallas Easterly of DallWork Hospitality Design, Project & Construction Management. Kim Lewis Nominated for HGTV's Fresh Faces of Design 2015 Awards! Voting starts Friday, September 25th. Unveiling the Silestone "Influencer Series" at KBIS 2015 in Vegas. Kim Lewis created a new counter top color called "Olivia", a new neutral inspired by nature. Video interview with Kim Lewis discussing The Kitchen of the Future. Designs for Jewel & Ty Murray’s ranch home by Kim Lewis featured in InStyle Magazine.